These past two weeks, the Sophomores have been looking unusually nice with collared shirts, dresses, and skirts. For those wondering why the sudden change in appearance; the grade level Model United Nations has replaced semester exams for tenth graders. Nicknamed ‘SophMUN,’ this has allowed for students taking World History to be much more involved in current global issues. TAKE talked to some students involved, and got the scoop on both the fun and knowledge they have gained from it. 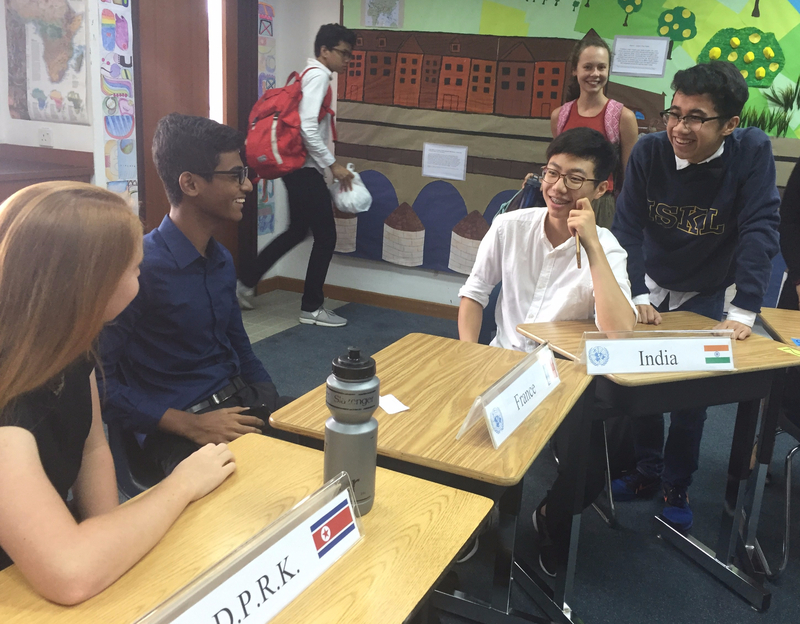 Sophomores began their MUN experience by researching the country they were assigned, focusing their information around particular global issues: gender equality, the North Korean crisis, and the Syrian civil war. They then created position papers, which stated the most important facts discovered from their research. Students feel as if this opportunity was way better than the alternative: semester exams. The research portion is a lot of work, however many felt it was fully worthwhile. It also was less stressful, as students were interacting with their peers and supporting each other, rather than sitting with their heads down writing essays and choosing multiple choice questions. Dheer, ‘19, mentioned his satisfaction after finally finishing his resolution, as the whole class was engaged and put up their hands to ask him questions. He notes that he will definitely consider joining ISKL’s MUN team next year, as he felt as if the knowledge he gained from it was worthwhile, genuine and enjoyable. This enthusiasm was shared by all of the students interviewed.